Telesat has selected Blue Origin’s New Glenn rocket to “play a key role” in delivering potentially hundreds of broadband communications satellites into low Earth orbit under a multi-launch agreement announced last week, as Telesat officials prepare to select between two industrial teams to begin building spacecraft for the Internet network later this year. Most of the launches will originate from Blue Origin’s launch pad under construction at Cape Canaveral, but some could take off from a launch site soon to be selected by Blue Origin at Vandenberg Air Force Base in California. The heavy-lifting New Glenn rocket is still two years from its inaugural launch — now set for 2021 — but Blue Origin has signed several customers to launch satellites on the two-stage booster. Before Telesat’s agreement this week, Blue Origin inked deals with OneWeb, which is developing a broadband constellation to rival Telesat’s, and geostationary comsat operators Eutelsat, Sky Perfect JSAT, and the Thai startup mu Space. 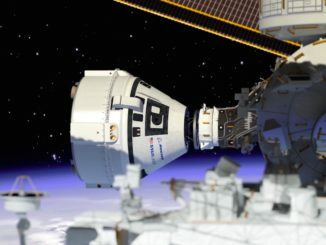 With a reusable first stage booster designed to land on an ocean-going barge — like SpaceX’s Falcon 9 rocket — the New Glenn will be capable of hauling nearly 100,000 pounds, or 45 metric tons, into low Earth orbit a few hundred miles above the planet. The heavy-lift capability will be coupled with a large payload shroud measuring 23 feet (7 meters) in diameter and 72 feet (21.9 meters) tall, providing more volume for satellites than any other commercial launcher on the market. 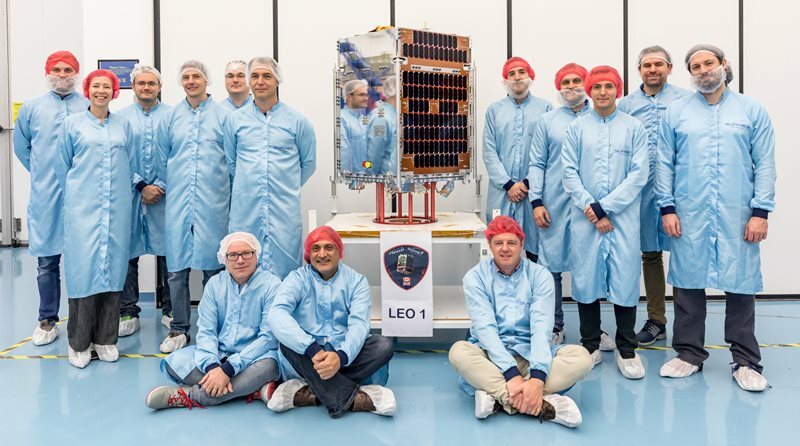 The Telesat LEO program is one of several mega-constellations planned in the telecom industry, alongside smallsat fleets numberings in the hundreds or thousands in the works by SpaceX, OneWeb, Leosat and other companies. With a fleet of 17 relay craft in geostationary orbit, Telesat is the largest traditional communications satellite operator developing a low Earth orbit network. 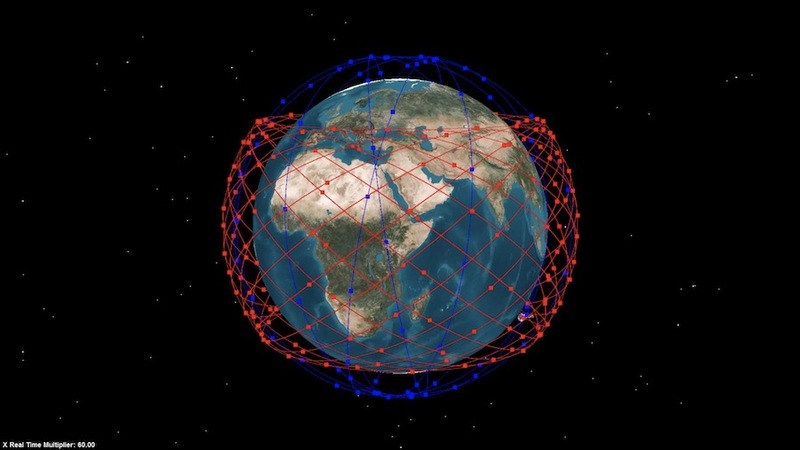 Telesat and its competitors eye several benefits of a low Earth orbit constellation. Because they orbit closer to users on the ground, satellites at low altitude can beam broadband signals to customers at lower latency, or less of a time delay, and a network of small spacecraft spread around the globe can offer worldwide coverage. The Federal Communications Commission has authorized Telesat to deploy up to 117 Ka-band communications satellites in low Earth orbit, but Telesat has signaled intentions to eventually add more spacecraft to the network, which it says can be adjusted in size to respond to market demand. With satellites spread in planes in mid-inclination and polar orbits, at altitudes of roughly 621 miles (1,000 kilometers) and 745 miles (1,200 kilometers), the Telesat LEO constellation will provide broadband connectivity to underserved communities, airline travelers, cruise ship passengers, and other industries with remote operations, the company says. The Telesat LEO network will feature inter-satellite links to relay signals around the world without having to pass the data through a ground station. Telesat has secured rights to nearly four gigahertz of Ka-band spectrum, and the company says the low Earth orbit fleet could be scaled from 112, to 192, to 292, up to 512 satellites, depending on demand. 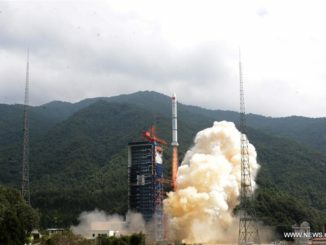 Last year, a Telesat official said the company is looking at 292 satellites for the full constellation, according to a report by Space News. Telesat is not building any more geostationary satellites, following the launch of a pair of large geostationary broadcasting spacecraft last year, and is focusing on development of the low Earth orbit constellation. A tech demo satellite for the Telesat LEO network launched in January 2018 as a secondary payload aboard an Indian Polar Satellite Launch Vehicle. Built by SSTL in the United Kingdom, the 370-pound (168-kilogram) prototype craft is testing technology planned for the Telesat LEO constellation, and last year connected with a test aircraft, becoming the first satellite in low Earth orbit to provide broadband to an airplane in flight. 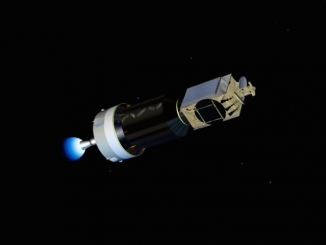 Another Telesat LEO test satellite, built by SSL, was destroyed in a Russian Soyuz/Fregat launch failure in late 2017. Telesat says it expects to select a builder for the Telesat LEO network later this year. Two industrial teams — one led by Airbus Defense and Space and another in partnership between Thales Alenia Space and Maxar Technologies, the owner of SSL — are currently designing smallsats for the Telesat broadband project. Telesat says the constellation could begin broadband services in 2022. Officials said the number of Telesat LEO satellites that can fit aboard the New Glenn rocket will depend on the spacecraft’s final design, and which contractor team is selected by Telesat. The New Glenn rocket’s 7-meter fairing provides twice the volume of the Ariane 5 rocket’s payload shroud, and three times the payload volume of SpaceX’s Falcon 9 and Falcon Heavy launchers. “New Glenn’s 7-meter fairing, with its huge mass and volume capabilities, is a perfect match for Telesat’s constellation plans while reducing launch costs per satellite,” Smith said in a statement. Blue Origin has not announced a customer for the New Glenn’s inaugural flight, but the company expects to book a commercial payload for the mission in 2021 from Space Launch Complex 36 at Cape Canaveral Air Force Station. The New Glenn’s first stage will be powered by seven BE-4 engines burning a mixture of methane and liquid oxygen, generating more than 3.8 million pounds of thrust at sea level. 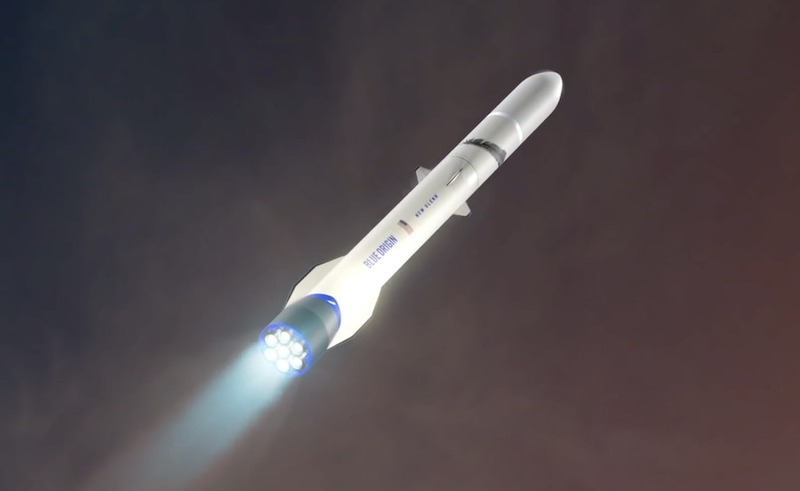 The second stage will have two BE-3U hydrogen-fueled engines, a vacuum-optimized variant of the BE-3 engine currently flying on Blue Origin’s suborbital New Shepard booster. Blue Origin last month broke ground on a new engine factory in Huntsville, Alabama, for the BE-4 and BE-3 engines, which are currently manufactured by the company’s headquarters in Kent, Washington. United Launch Alliance’s new Vulcan rocket will also use BE-4 engines on its first stage, and will be manufactured at ULA’s factory in nearby Decatur, Alabama.